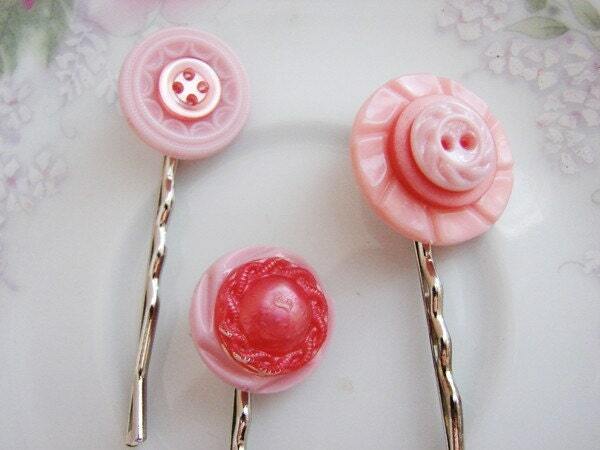 The buttons were securely affixed to one another & then to a 2" (5.1cm) silver tone pin with professional grade jewelry epoxy. 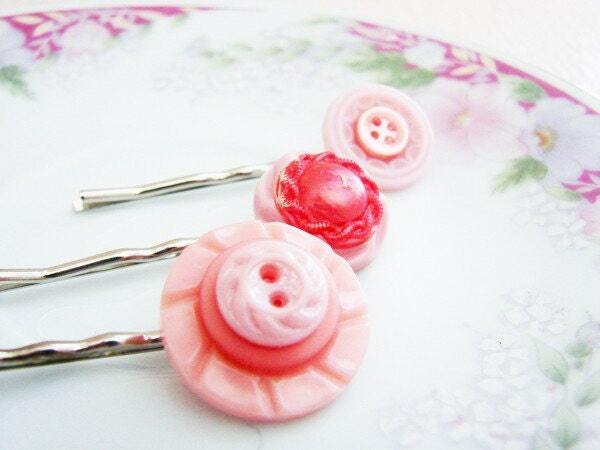 The button adornments measure between 5/8" (16mm) and 7/8" (22mm) in diameter. 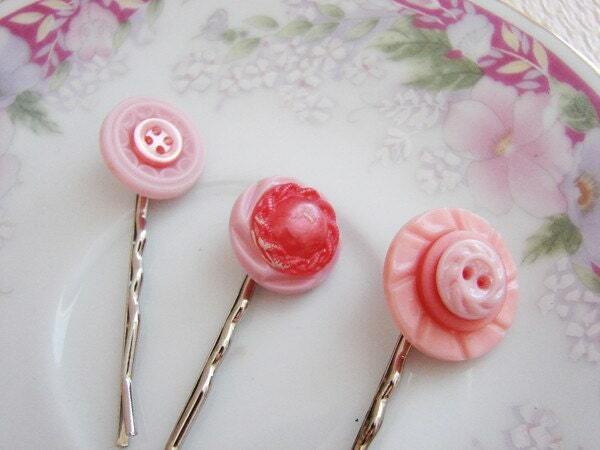 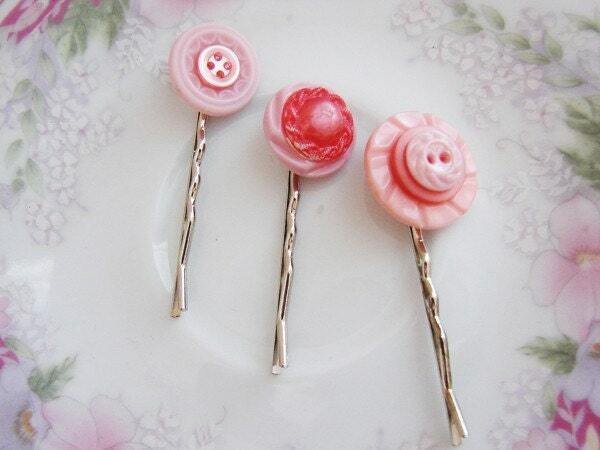 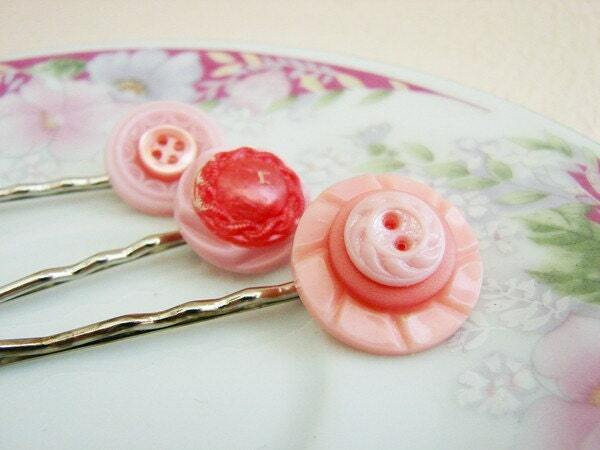 You are purchasing the hair pins you see in the pictures.